Today was Monday. Typically I LOVE Monday’s because that means that Abug and I get to go and hang out with grandma, but for some reason today was different. I guess I knew it was a Monday. I struggled. I was grouchy and grumpy and everything else. I’m sorry I grumbled! Gosh. 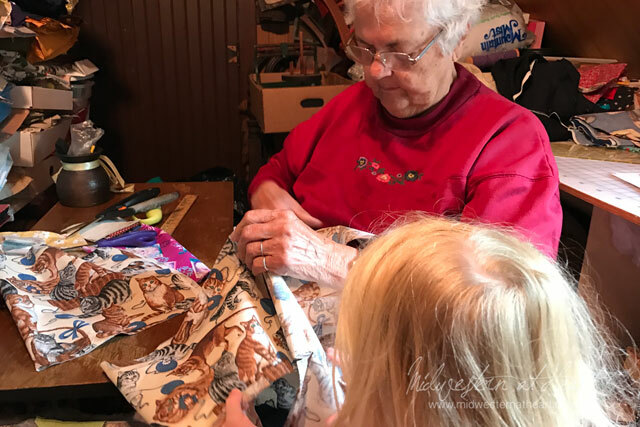 So Grandma kept Abug entertained by making her a new “purse” even though she brought one with her. 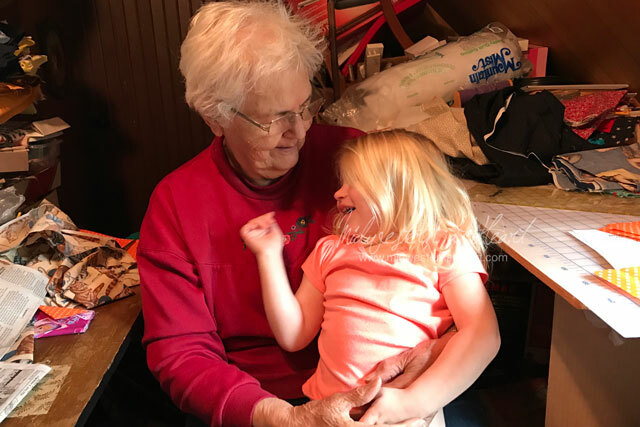 As you can see Abug loves her great grandma and I see the feeling is mutual! So to add to my frustration (wonder if I should have started that with sew… haha) grandma’s sewing machine quit working. It already had quirks but something happened and it died. 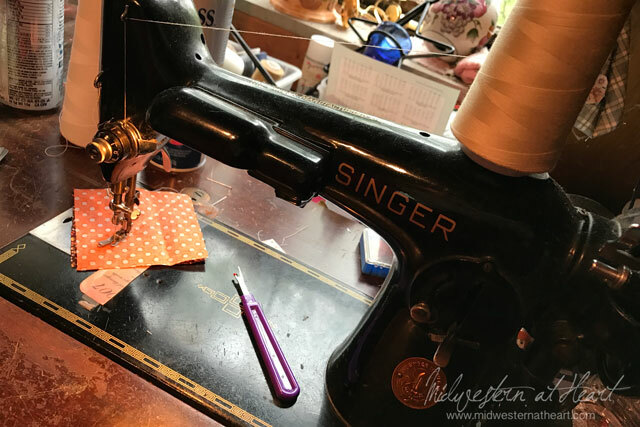 So we had to use the old Singer. When I got there Grandma said I’d love this sewing machine. I anything but loved it. 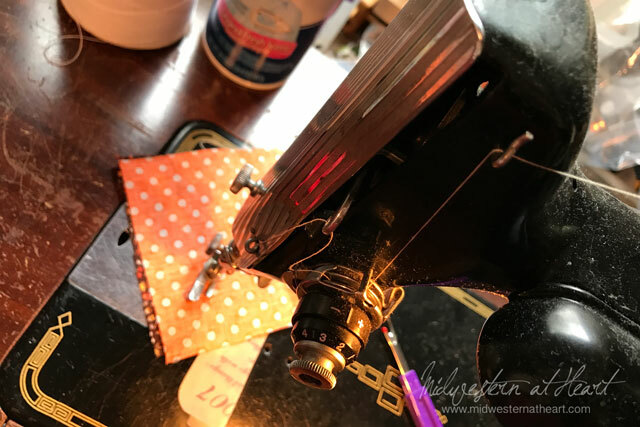 I spent more time trying to make it work for me or fixing my mistakes because I wasn’t paying attention than I did sewing. This machine kept losing the top string. It kept getting the top string stuck in the bottom. I just was not having luck in my favor. A block that should have taken maybe an hour took me like 2 1/2 hours. I was already frustrated and add to that and it just wasn’t a good/fun Monday. I’m so happy I was able to go and spend time with Grandma. I was happy that Abug can spend time with Grandma. Nothing makes me happier and that outweighs the frustrating Monday I experienced by far! 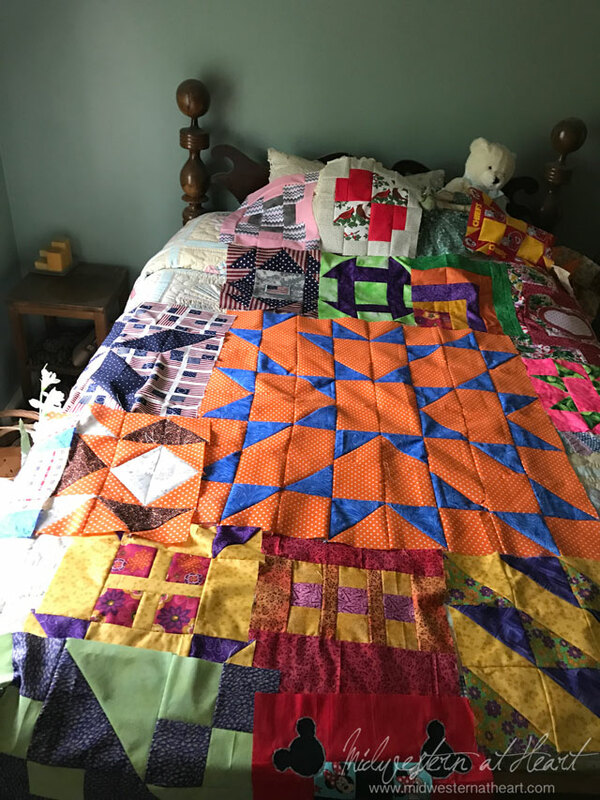 Grandma picked out these block colorings. 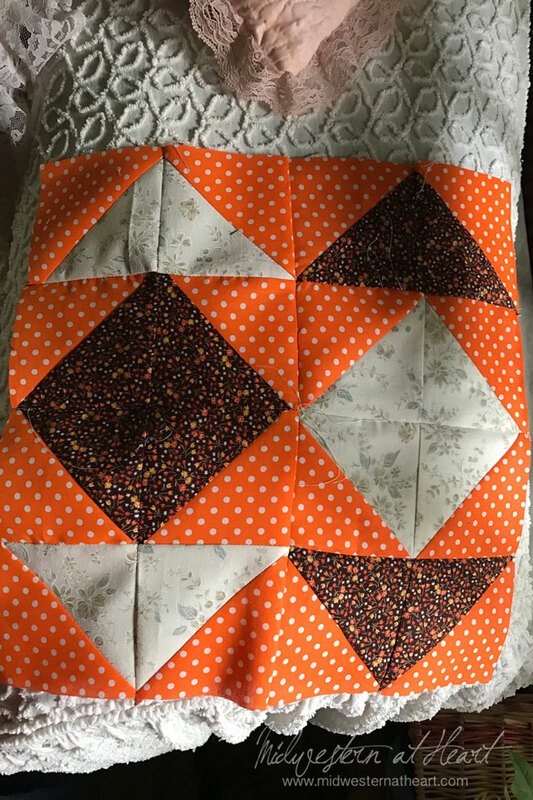 After Quilt block 9 and the fact there is sooooo much orange polka dot, we had to try and incorporate some of that in. 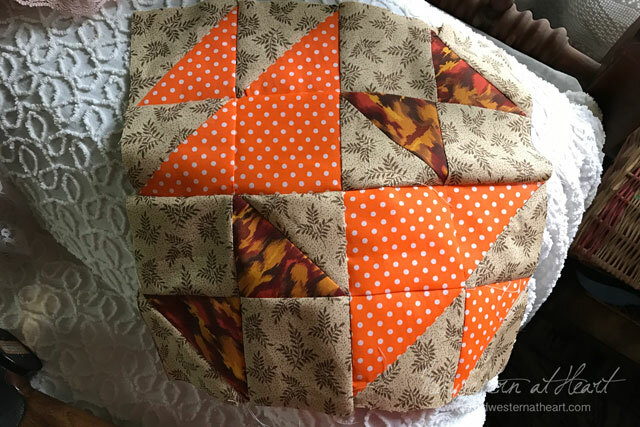 I think we may modify quilt block 9, we discussed how today, but there will still be orange polka dot so this helps incorporate that into the rest of the quilt. And here we go, another laid out picture. I know I say this every week, but I really do need to lay it out on a floor!